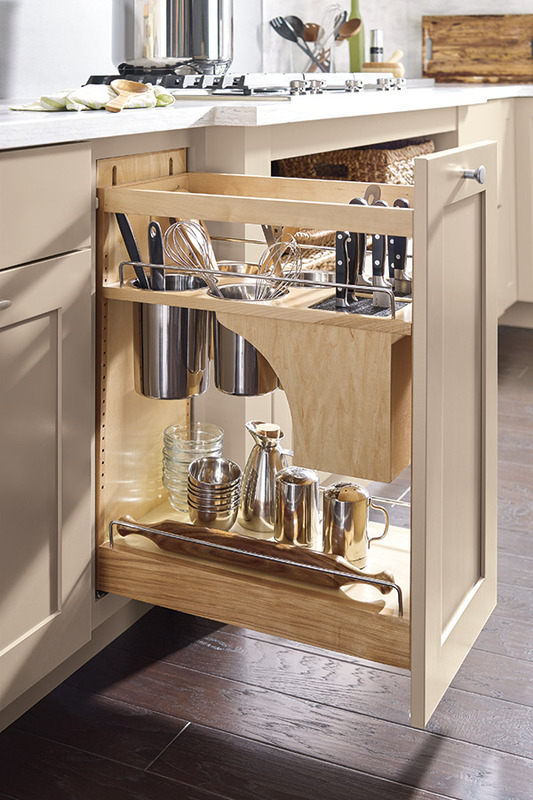 The Base Utensil Pantry Pull-out Cabinet with Knife Block is an especially sharp idea to help maximize counter space in food prep areas with a streamlined look. Movable rods in the knife block adjust to your knife set, and both the block and multiple stainless utensil canisters are removable for easy cleaning. Talk about a win-win!